Salvu Bonnici was born in Sliema on December 21, 1934. He was the youngest of three boys. The others were twins, Ġużi and Michael, both of whom played for Sliema Wanderers. Michael only played two league games for the Blues but Ġużi was a veteran of 14 seasons between 1950 and 1963. Salvu played his first football at the Sliema Primary School from where he graduated to the Salesians Boys Brigade team which, in those days, was the cradle of many fine players who later on donned the famous blue jersey of the Wanderers. 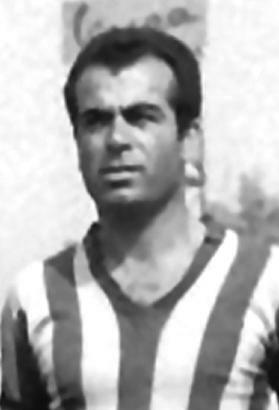 Salvu joined Sliema in 1951. From the minors string he moved to the Third and Second Division sides until he made his first-team debut on October 31, 1954 in a 3-1 victory over Hibs. He went on to play 201 competitive matches for Sliema before he left in 1967 to join Żebbuġ Rangers. Bonnici played his first match for Rangers in the Second Division on October 6, 1968 in a 3-1 victory over Lija Athletic. In 1969-70, he helped Żebbuġ win promotion so that in the next two seasons he played 11 games for them in the top division of Maltese football. During his career Bonnici won various major honours for Sliema which included five champion-ships and four FA Trophy, three Cassar Cup and four Scicluna Cup medals. He also won the Testaferrata Cup, the MFA League and the Independence Cup. Salvu was also capped twice with the full Malta side and one for the Malta B. He played eight times for the Wanderers in European club matches and 32 times in prestigious friendly matches against foreign clubs. His greatest moments were winning a Quadruple Crown in 1955-56 under coach Jock Gilmour and the 1964-65 triumph with Hungarian Janos Bedl as Sliema coach. Salvu’s best performances came at the 1955-56 tourney match against Beogradski, which Sliema won 1-0, and the tourney game against Southend in May 1965. In both instances he was the heart and soul of the Sliema defence and it was mainly thanks to him that they obtained positive results. Bonnici was a centre-half. He was good in the tackle and his imposing physique stood him in good stead at a time when the game was much more physical than it is nowadays. His passing was also good and it was one of his characteristics to start an attack with a measured pass to an unmarked colleague. His chief asset, however, was his accuracy in the tackle which enabled him to nip in the bud many threatening moves of his opponent. Bonnici was definitely one of the best central defenders of his era and it is a wonder that he was only picked twice for the full international Malta XI.